You never know where Culver will pop up. 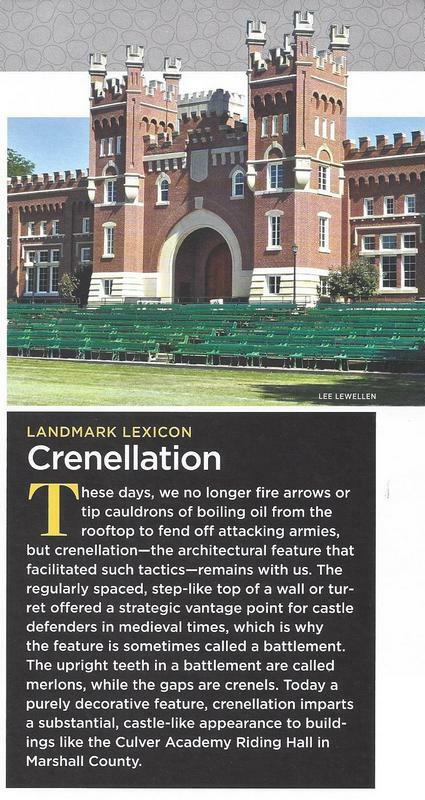 The picture to the right, taken at Culver Academies, appeared in the Mar/Apr 2016 edition of Indiana Preservation Magazine from Indiana Landmarks. The magazine is always a good read and comes free with your membership. Click on over and sign up!